What percentage of black Americans believe racism and discrimination against black folks exists in America? Pice a number between 1 and 100 and read on. We asked black Americans whether they believe discrimination against black Americans exists in the U.S. today. How many do you think responded “it exists”? Of the 802 black Americans we asked, almost all said they believe discrimination against black Americans exists today. One of the paradoxes of racial discrimination is the way it can remain obscured even to the people to whom it’s happening. Here’s an example: In an ambitious, novel studyconducted by the Urban Institute a few years ago, researchers sent actors with similar financial credentials to the same real estate or rental offices to ask about buying or renting a home or apartment. In the end, no matter where they were sent, the actors of color were shown fewer homes and offered fewer discounts on rent or mortgages than those who were white. The results even surprised some of the actors of color; they felt they had been treated politely — even warmly — by the very real estate agents who told them they had no properties available to show them but who then told the white actors something different. The full scope of the disparate treatment often becomes clear only in the aggregate, once the camera zooms out. And yet obscured as the picture may be, black Americans take the existence of discrimination as a fact of life. That’s according to a new study conducted by NPR, the Robert Wood Johnson Foundation and the Harvard T.H. Chan School of Public Health, which asked black respondents how they felt about discrimination in their lives and in American society more broadly. Almost all of the black people who responded — 92 percent — said they felt that discrimination against African-Americans exists in America today. 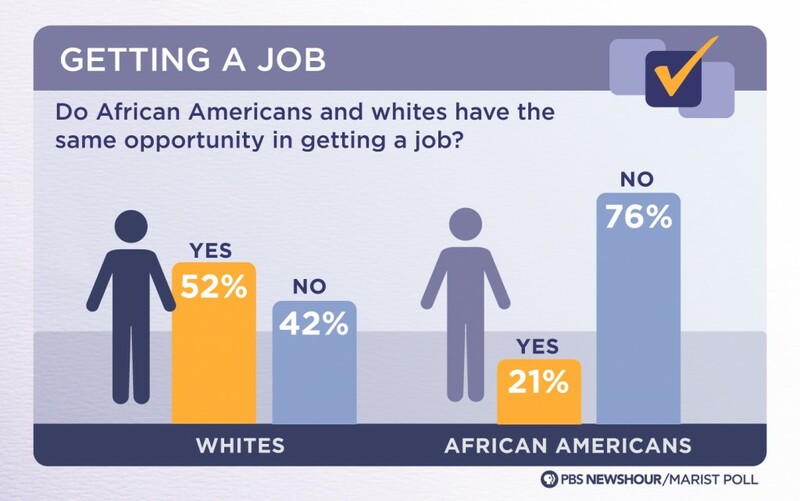 At least half said they had personally experienced racial discrimination in being paid equally or promoted at work, when they applied for jobs or in their encounters with police. equally or considered for promotion (57%). harassed because they are Black. income Black Americans are more likely to report these experiences. and 22% say they have avoided medical care, even when in need, both for fear of discrimination. But within that near-consensus, the respondents reported having different kinds of experiences with discrimination, which varied considerably depending on things like gender, age and where they lived. Take, for example, the question of whether discrimination that was the result of individual bias was a bigger problem than discrimination embedded into laws and government. 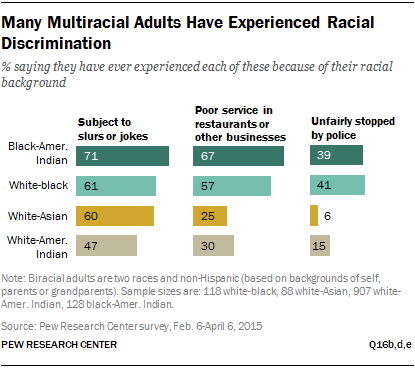 Among the folks who said that discrimination existed, exactly half of all respondents felt the discrimination that black people face from individual people was a bigger cause for concern. But younger people were more likely to say they felt that institutional discrimination was a bigger concern. Why do Police see guns in black men’s hands when there are none? Science attempts to explain. Not sure I buy into the concept entirely, as many of the shooting situations were created by the Officers in the first place. That implies , differently from the science that perception may well have a component of pre-meditation. The shooting of Walter Scott involved no weapon in Scott’s hands. He was running away from the Policeman. If you’re black in the United States, you’re more than twice as likely as a white person to be unarmed if you’re killed in an encounter with the police. Why? Some kind of racial profiling is at work, but the precise psychological mechanism is poorly understood. Investigations into police shootings show that the officers often perceive cellphones and other non-threatening objects as weapons in the hands of a person of colour. So do police officers misinterpret what they see, or are they actually seeing a gun where there is none? The classic psychological account would ascribe these mistakes to a failure of executive control, provoked by some external stimulus. That is, the problem comes from the brain’s inability to resolve the conflict between an automatically activated stereotype, and a consciously held egalitarian belief. Seeing a black face might automatically activate the stereotype that black men are more dangerous, leading to activity in brain areas implicated in fear responses. But this automatic response, which could trigger a fight-or-flight reaction, should be suppressed when the fear is irrational. Yet the tensions between automatic and control processes are not always readily resolved, and result in errors. Among neuroscientists, it’s increasingly popular to think of the brain not as a passive organ that receives and reacts to stimuli, but as more of an inference machine: something that actively strives to predict what’s out there and what’s going to happen, maximising the chances of staying alive. But the body isn’t simply controlled top-down. Rather, its signals are constantly combining with the brain’s inferences to generate our perception of the world. Imagine you hear a door slamming: you’re more likely to picture an intruder if you’re watching a scary movie than if you’re listening to soothing music. You make that prediction (otherwise quite unlikely) because it accounts for your fast heart-rate and the sound of the door. We still know very little about exactly how these processes might relate to the phenomenon of racism, but now we have some idea of where to look. If the predictive story of behaviour is correct, perception (including that of the police) suddenly seems a lot closer to belief, and is a lot more embodied, than we used to think. Recent studies highlight the influences of visceral signals across many domains, from emotional processing and decision-making to self-awareness. For example, scary stimuli are judged to be more fearful when presented during heartbeats, rather than betweenheartbeats. At my lab at Royal Holloway, University of London, we decided to test whether the cardiac cycle made a difference to the expression of racial prejudice. The heart is constantly informing the brain about the body’s overall level of ‘arousal’, the extent to which it is attuned to what is happening around it. On a heartbeat, sensors known as ‘arterial baroreceptors’ pick up pressure changes in the heart wall, and fire off a message to the brain; between heartbeats, they are quiescent. Such visceral information is initially encoded in the brainstem, before reaching the parts implicated in emotional and motivational behaviour. The brain, in turn, responds by trying to help the organism stabilise itself. If it receives signals of a raised heart-rate, the brain will generate predictions about the potential causes, and consider what the organism should do to bring itself down from this heightened state. This ongoing heart-brain dialogue, then, forms the basis of how the brain represents the body to itself, and creates awareness of the external environment. In our experiment, we used what’s known as the ‘first-person shooter’s task’, which simulates the snap judgments police officers make. Participants see a white or black man holding a gun or phone, and have to decide whether to shoot depending on the perceived level of threat. In prior studies, participants were significantly more likely to shoot an unarmed black individual than a white one. But we timed the stimuli to occur either between or on a heartbeat. Remarkably, the majority of misidentifications occurred when black individuals appeared at the same time as a heartbeat. Here, the number of false positives in which phones were perceived as weapons rose by 10 per cent compared with the average. In a different version of the test, we used what’s known as the ‘weapons identification task’, where participants see a white or black face, followed by an image of a gun or tool, and must classify the object as quickly as possible. When the innocuous items were presented following a black face, and on a heartbeat, errors rose by 20 per cent. Yet in both instances, when the judgment happened between heartbeats, we observed no differences in people’s accuracy, irrespective of whether they were responding to white or black faces. It seems that the combination of the firing of signals from the heart to the brain, along with the presentation of a stereotypical threat, increased the chances that even something benign will be perceived as dangerous. It’s surprising to think of racial bias as not just a state or habit of mind, nor even a widespread cultural norm, but as a process that’s also part of the ebbs and flows of the body’s physiology. The heart-brain dialogue plays a crucial role in regulating blood pressure and heart rate, as well as motivating and supporting adaptive behaviour in response to external events. So, in fight-or-flight responses, changes in cardiovascular function prepare the organism for subsequent action. But while the brain might be predictive, those predictions can be inaccurate. What our findings illustrate is the extent to which racial and possibly other stereotypes are hijacking bodily mechanisms that have evolved to deal with actual threats. The psychologist Lisa Barrett Feldman at Northeastern University in Boston coined the term ‘affective realism’ to describe how the brain perceives the world through the body. On the one hand, this is a reason for optimism: if we can better understand the neurological mechanisms behind racial bias, then perhaps we’ll be in a better position to correct it. But there is a grim side to the analysis, too. The structures of oppression that shape who we are also shape our bodies, and perhaps our most fundamental perceptions. Maybe we do not ‘misread’ the phone as a gun; we might we actually see a gun, rather than a phone. 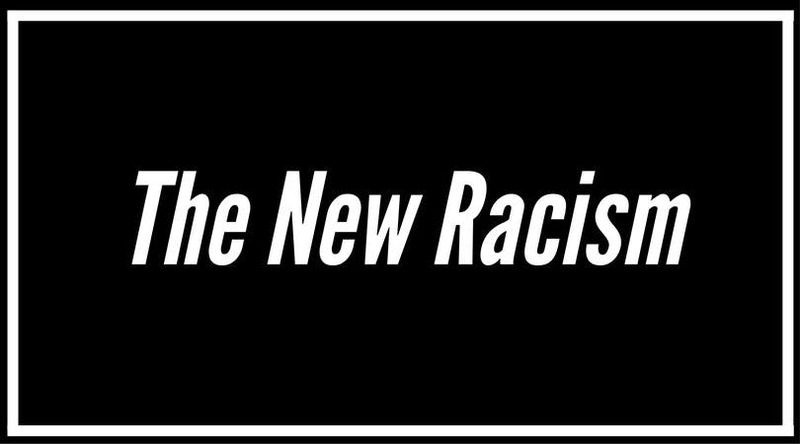 Racism might not be something that societies can simply overcome with fresh narratives and progressive political messages. It might require a more radical form of physiological retraining, to bring our embodied realities into line with our stated beliefs. Apparently the infamous Giant Negroes of Jim Crow racism lore still walk among us! Even if white and black men are the same heights and weights, people tend to perceive black men as taller, more muscular and heavier. So said a psychological survey, published Monday in the American Psychological Association’s Journal of Personality and Social Psychology, exploring stereotypes about perceptions of male bodies. What’s more, the study found, nonblack participants believed black men to be more capable of physical harm than white men of the same size. 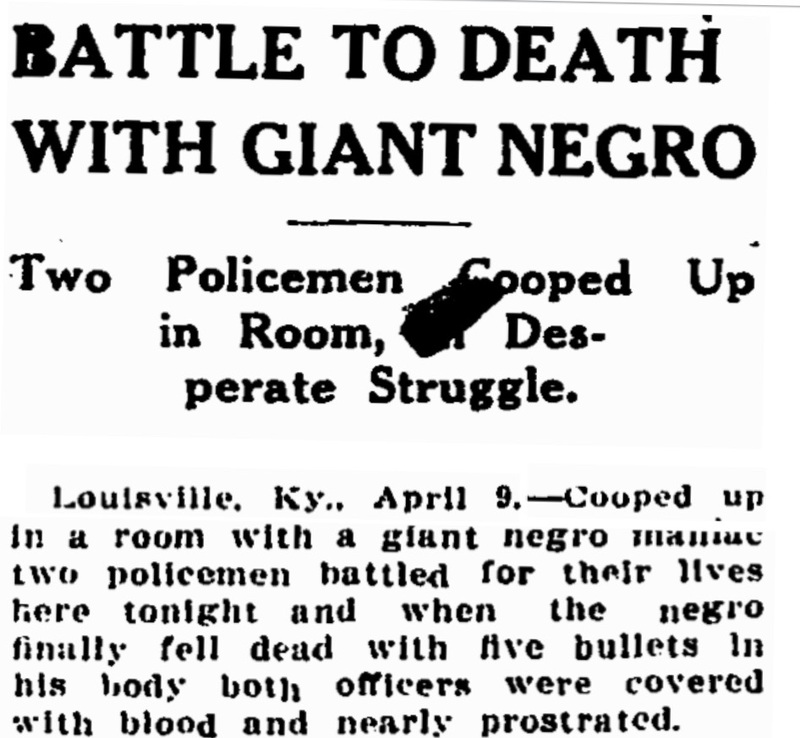 The results also indicated that nonblack observers believed that police would be more justified to use force on these black men, even if they were unarmed, than white male counterparts. “Unarmed black men are disproportionately more likely to be shot and killed by police, and often these killings are accompanied by explanations that cite the physical size of the person shot,” John Paul Wilson, an author of the study and a psychologist at New Jersey’s Montclair State University, said in a statement Monday. The psychologists noted that, in the wake of police shootings, the physical size of those killed frequently becomes a focal point. Tamir Rice, who was shot and killed on a Cleveland playground in 2014 while holding a replica gun, was described as “menacing” after his death. Trayvon Martin, a Florida teen who was shot and killed by neighborhood watch volunteer George Zimmerman in 2012. Wilson and his colleagues at the Miami University of Ohio and the University of Toronto conducted seven experiments, asking 950 online participants to gauge the physical and threatening characteristics of men, based on male faces and bodies. In one of the studies, for instance, survey participants gauged men’s height and weights given only photographs of male faces. Of the 90 male faces, half of the men were black and the other half were white. The researchers used images of high school football quarterbacks being recruited to play college ball (therefore their height and weight data were publicly available to the scientists). Those surveyed rated black men to be consistently larger — even though that was not, in reality, the case. Based on just the faces, they estimated that the black men were slightly taller (an average of 72 inches vs. 71 inches tall) and a bit heavier, at an average of 181 pounds for black men but 177 pounds for white men. Another study asked participants to match the athlete’s faces to a series of illustrated bodies. These illustrations ranged from the depiction of a slender male body to a shredded physique, not unlike that of former NFL player, actor and deodorant pitchman Terry Crews. As in the cases of height and weight, participants rated black men as more muscular. To gauge people’s perceptions of strength, the study authors created a pool of athlete profile photos from a group of black and white men who could bench-press the same weights, on average. Participants judged the black men (from “Not at all strong” to “Very strong”) as stronger. The psychologists asked participants to gauge the men’s capability of causing physical harm. The researchers also wanted to know, if the men in the photos were acting aggressively, whether participants thought police would be justified in using force while making an arrest. 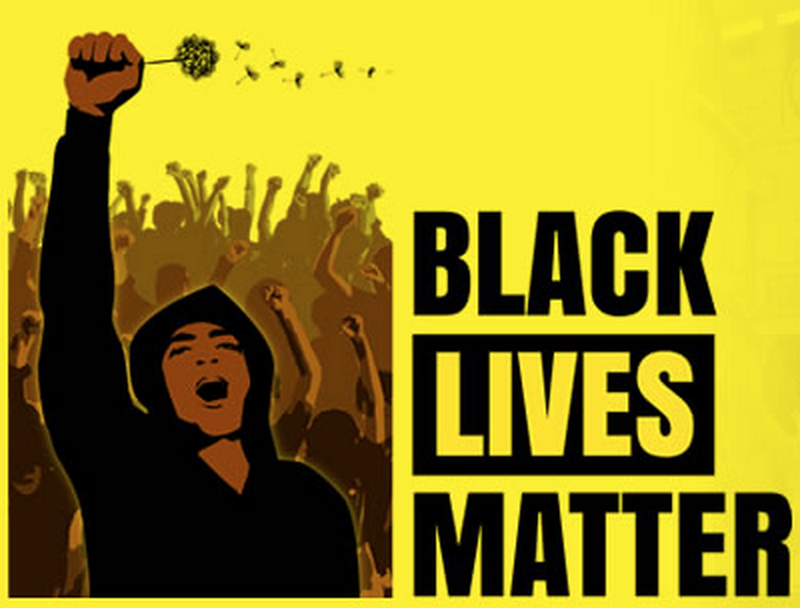 Black observers did not rate black men as more likely to cause harm. But nonblack participants did. These participants also indicated that, if police were to use force to subdue the men, it was more likely to be justified in the cases where the men were black. That is, although black and white participants equally overestimated the strength of black men, only nonblack observers considered the black men to be more dangerous. The psychologists pointed out that limiting the photos to faces of football players — a sport that puts a premium on strong, large bodies — could skew the results, but they said they would expect similar trends in a broader sample pool of black and white faces. The study authors also noted that these hypothetical scenarios and results do not necessarily translate into the real world. Across the United States, the average black man and the average white man are roughly the same height and weight. According to what data are available, such as information taken from Centers for Disease Control and Prevention surveys, the average white man older than 20 weighs 199 pounds. So does the average black man. Height averages for black and white men are within a centimeter of each other, with the average white man being slightly taller at 5-foot-10. In the area that I lived in growing up, the system for integrating schools started the first few years at the Elementary and Middle School level. I was one of the first black males to attend an “integrated” Junior High School (7th and 8th Grades) in my county.There were a whopping 2 black boys and 5 black girls that first year in a school of 1800. 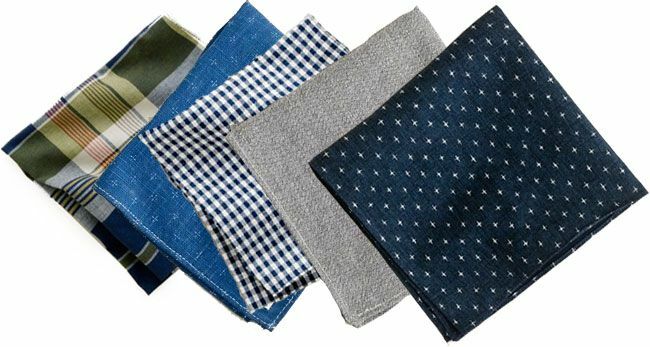 My father took me out “shopping” before the first class, and purchased for me 5 white shirts, and several ties. My Dad was known by friends and family for always wearing crisp white shirts,a tie, and a suit to work every day. He was a strong believer in looking respectable to be respected. Every morning he would check me to make sure I had my “uniform” on before school. Heaven help me if I stopped by on the way home for a game of baseball with the other kids in the neighborhood and got my clothes dirty! As we got to know each other better, some of the white kids would tease me about always wearing a tie to school – and being the “best dressed” kid in Junior High. They would ask why I always wore a white shirt and tie – I just passed it off as a “Dad thing”. I found later in the business world that how people perceived you, and how well your initial introductions went depended highly on how well you were dressed. A Sales guy in the company I worked for at the time taught me to always dress one cut above the client, and that the perception of being successful was just as important as the fact itself. The goal was to look professional, and as I rose in the ranks, the make, quality, fabric, and cut of your suit and accessories indicated whether you “belonged”. Look professional…To be professional Glad to see some youngsters have figured this out. Three African-American students at Syracuse coincidentally dressed up on the same day, and soon decided to form a movement to combat prejudice sartorially. I met Kwame Phipps five years ago, at the end of his junior year in high school, through a Harlem-based youth development organization to help him apply to college. He was always neatly dressed and attentive to his grooming. So I am not surprised he would become a founder of the Well Dressed Movement at Syracuse University to promote better dress habits among his peers. One reason I volunteered to mentor students like Kwame is that media portrayals of young black men have burdened them with numerous disquieting stereotypes. Like many stereotypes people affix to particular groups, they are highly simplistic and often neglect larger societal issues that produce and perpetuate misperceptions. Such perceptions prove harmful to nearly all black men. Young men like Phipps are often overlooked in such generalizations, so he and his friends have taken conscious steps to dispel negative myths. Phipps, a 2016 Syracuse graduate, and his roommates, Joshua Collins and Elijah Biggins, started the Well Dressed Movement as a direct effort to counter some misperceptions. In 2014, their sophomore year, each had dressed up one day, but Phipps said, “It was random. I had an internship, Josh had a job interview, and Eli had a class presentation.” Unaware each had dressed up, “we left our apartment at different times and met later at the library for a social. Everyone saw us and asked why we were dressed up. We pretended it was intentional and said it was “Well Dressed Wednesday.” From there, they decided to make a Wednesday tradition of dressing up and enlisted their friends to join them. They began the Well Dressed Movement in the wake of high profile killings of Trayvon Martin and Michael Brown, and college campuses were rife with discussion about race. Syracuse was no different. Phipps said there was extensive racist dialogue in online articles in the school newspaper, The Daily Orange, and on Yik Yak, a location-based social media platform popular on college campuses. “My friends and I are from inner city Philadelphia, Paterson (New Jersey), and New York City,” and they felt the sting of such commentary. Dressing up was a constructive response to address perceptions others might have about them. They took inspiration from earlier black pioneers who tackled social justice issues. The group’s motto, When you look good, you feel good,facilitated engagement with their peers. Their movement took hold and spread to other campuses, including Binghamton, Cornell, Howard, and Pace universities and Utica College, which validated their efforts. Looking good takes money, however. As budget-conscious millennials, they shopped at H&M, Zara, local thrift stores, and they tracked sale items at Macy’s. It was worth the effort. Phipps said dressing up without a specific purpose elicited positive responses from those with whom he interacted, and it instilled a professional mindset in him. Practice paid off: While still in school, he had internships and summer jobs at places like the Ford Foundation and the Department of Housing and Urban Development in Washington. That racial misidentification thing can get folks into trouble. 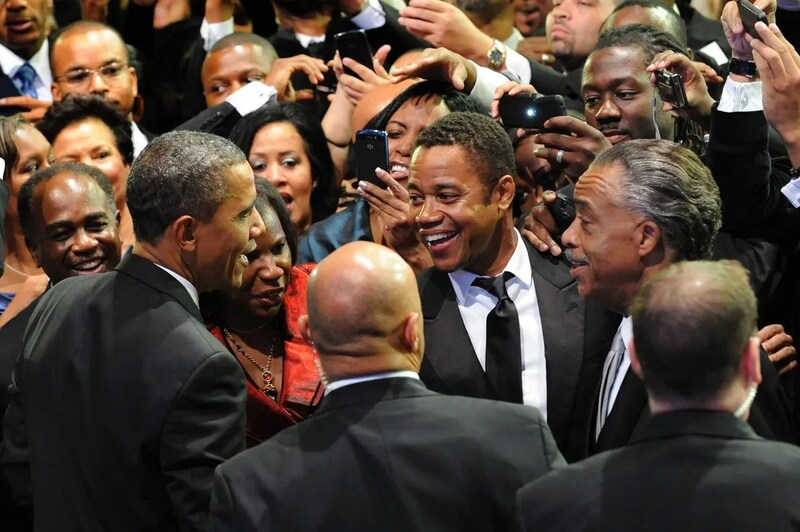 I remember in Junior High School, in which there were 7 black students the first year (5 girls, 2 boys) of integration out of about 2,000, the Principal announcing over the PA System “BTx and/or Hobert report to the office.” Hobert being the other black male. Seems that Hobert had gotten into a tiff with one of his classmates, and the teacher claimed not to be able to tell which of us was which – so he called both of us down. That particular teacher was later fired when found to be failing every black student in her class, automatically giving them “Fs” on everything we submitted, including in my case a paper written by one of my white classmates, who had straight A’s when we did a paper swap to test her fairness. He got an A for submitting my paper. 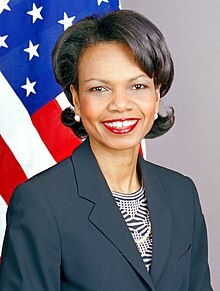 She apparently knew “It was one of them black boys” in the scrap. Not that I never did anything to get in trouble…So I, in truth, cannot plead total innocence to all Junior High Schooler stupidity. I will admit to working hard to be able to tell the difference with some accuracy between Asian peoples. The outcry was immediate and ferocious when a white New York City police officer tackled James Blake, the retired biracial tennis star, while arresting him this month in a case of mistaken identity. The officer mistook Mr. Blake for a black man suspected of credit card fraud, according to the police. Racism, pure and simple, some said. Does Condo look like Rachel? Scientists, pointing to decades of research, believe something else was at work. They call it the “other-race effect,” a cognitive phenomenon that makes it harder for people of one race to readily recognize or identify individuals of another. That racially loaded phrase “they all look alike to me,” turns out to be largely scientifically accurate, according to Roy S. Malpass, a professor emeritus of psychology at the University of Texas at El Paso who has studied the subject since the 1960s. “It has a lot of validity,” he said. Looking for examples? There is no shortage — in the workplace, at schools and universities, and, of course, on the public stage. Lucy Liu, the actress, has been mistaken for Lisa Ling, the journalist. “It’s like saying Hillary Clinton looks like Janet Reno,” Ms. Liu told USA Today. 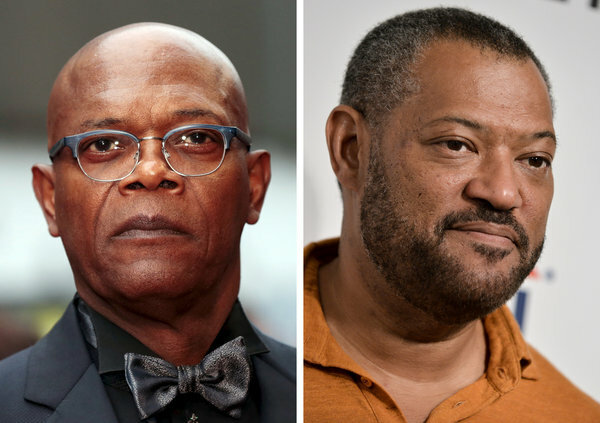 Samuel L. Jackson, the actor, took umbrage last year when an entertainment reporter confused him with the actor Laurence Fishburne during a live television interview. Psychologists say that starting when they are infants and young children, people become attuned to the key facial features and characteristics of the those around them. Whites often become accustomed to focusing on differences in hair color and eye color. African-Americans grow more familiar with subtle shadings of skin color. Professor Malpass, who has trained police officers and border patrol agents, urges law enforcement agencies to make sure black or Hispanic officers are involved when creating lineups of black and Hispanic suspects. And he warns of the dangers of relying on cross-racial identifications from eyewitnesses, who can be fallible.